Contact Nick Lembo to register at [email protected]ate.nj.us, as space will be limited. There ought to be plenty of job opportunities across the river, now that FRMT has gotten a thumbs up from the New York State Legislature. 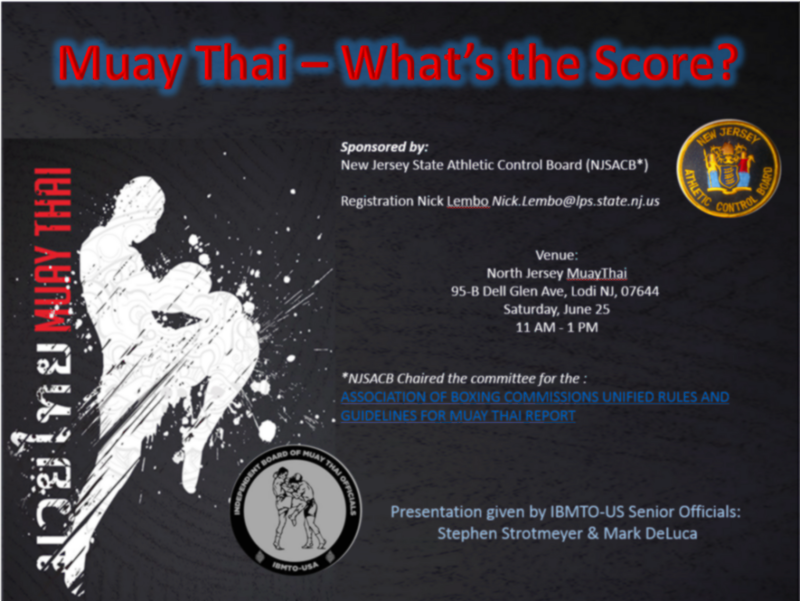 This entry was posted in Features and tagged featured, Larry Hazzard, Mark DeLuca, Muay Thai Officiating, New Jersey State Athletic Control Board, Nick Lembo, Sr., Stephen Strodtmeyer. Bookmark the permalink.